I am sharing the cut files for the tropical wall art in my subscriber library. Click here to subscribe to my weekly newsletter and gain access to all the freebies. If you already have your password, click here to download them. You can use a table saw or circular saw to cut the boards down. Or you can have the lumber store cut the boards down for you. I used Minwax Early American. I created stencils of the designs from my Silhouette cutting machine and vinyl for my Hawaiian patterns. You can also use paper and fold them in eighths and cut the design by hand. Then you can secure the paper to the boards with temporary spray adhesive. Cut your 1×10 board into 6 square pieces. Typically a 1×10 board is actually 11 1/4″ in width (double check this before cutting), so I used my table saw to cut the board into 6 11 1/4″ pieces. If you do not have a table saw, you can easily do this with a hand-held circular saw, just clamp a straight edge for you to follow when you cut. Sand all the pieces of wood. Then stain them with your desired stain. 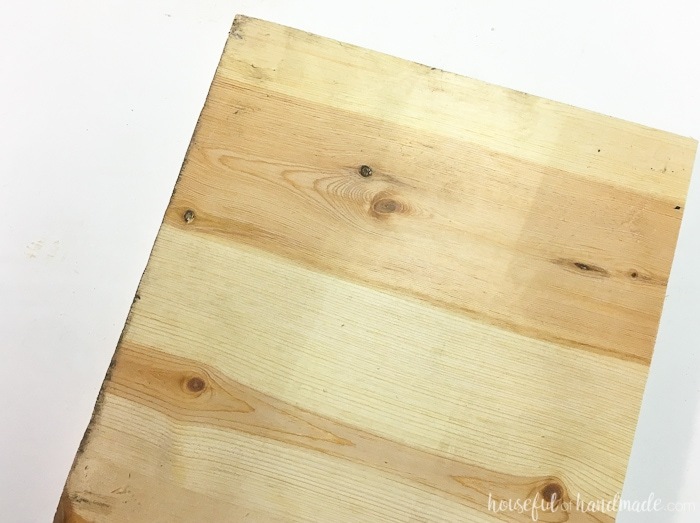 I used Minwax Early American for my boards to create a warm wood look. Cut out your Hawaiian quilt designs. I cut them out of vinyl with my Silhouette Cameo, but if you do not have a cutting machine you can also cut them out of paper. 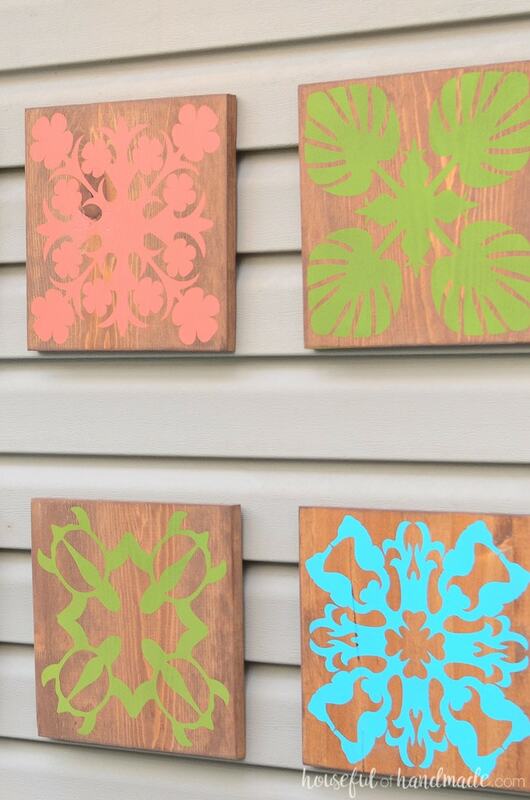 Attach the stencils to the boards. 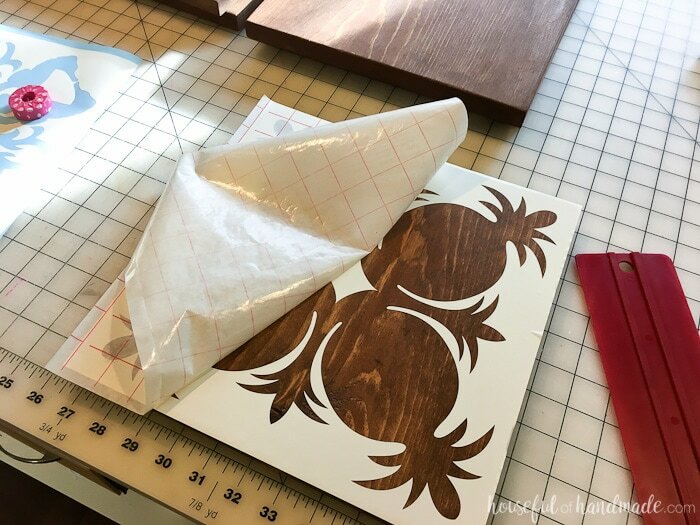 For the vinyl stencils, use transfer tape to transfer the vinyl to the wood. 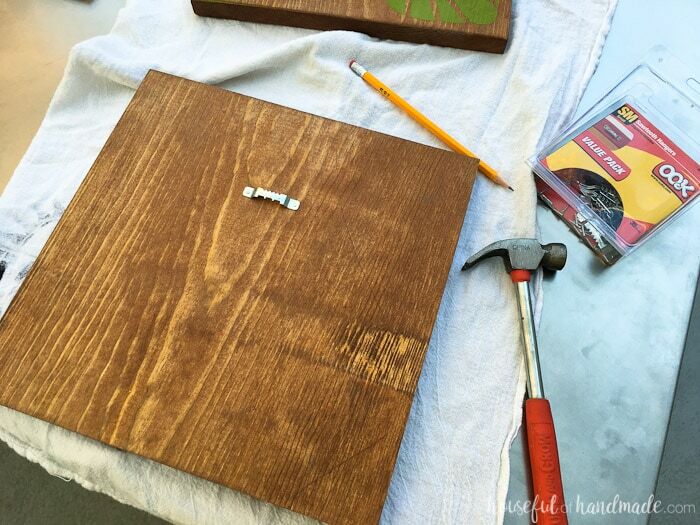 For the paper stencils, spray the back with a temporary spray adhesive and press firmly on the wood. 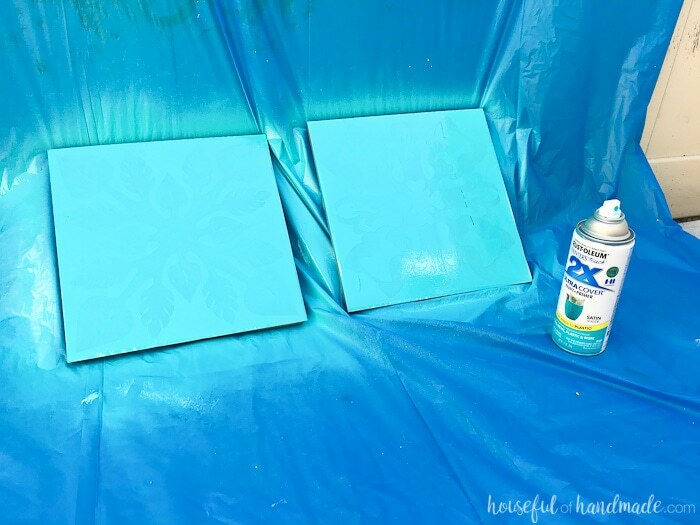 Cover the edges of the boards with painter’s tape. I didn’t do this on the first one and the edges of the boards are now blue. Spray paint the front of the boards. You will need to do a couple coats to get even coverage. 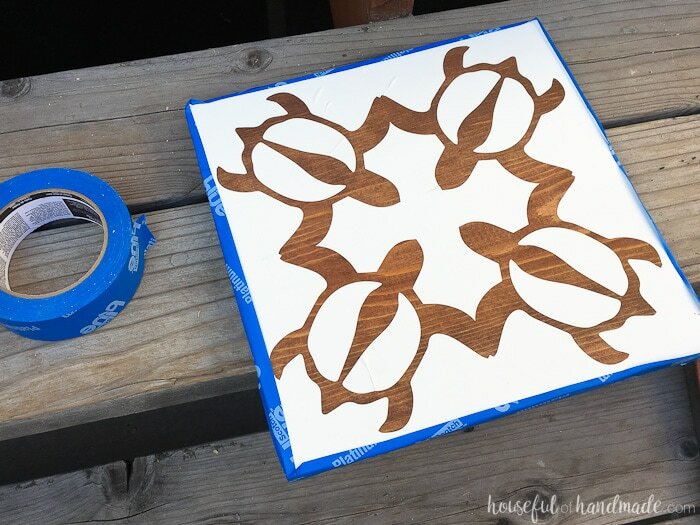 After the paint is dry to the touch, remove the stencil from the wood. I do not like to wait more than 20-30 minutes after spray painting because the paint can peel off at the edges with the stencil if it gets too dry. Add the picture hangers on the back of the tropical wall art and hang up. To hang on the vinyl siding, I found the vinyl hooks worked very nicely. Now garb a daiquiri and imagine you are on a tropical island! 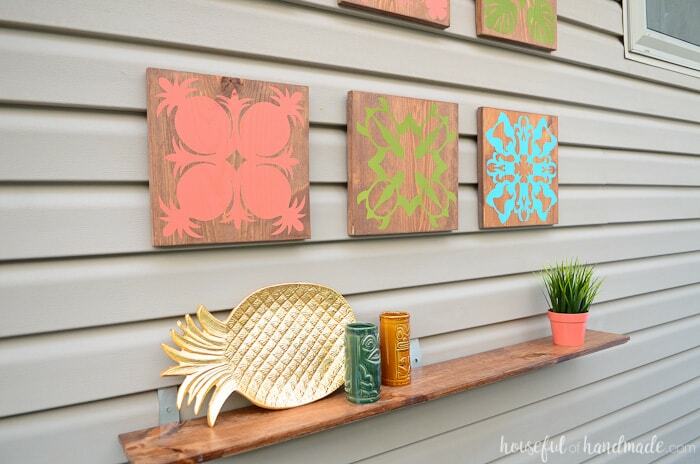 The new art work is definitely helping to create the perfect backyard oasis.